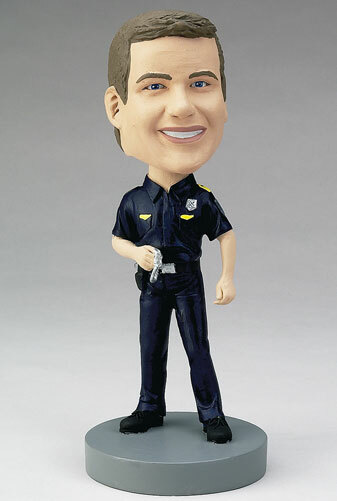 Buy a light-hearted gift to thank your neighborhood policeman. Whether he's your captain, your husband, or your friend, he'll love this custom bobblehead! Engrave the base with a thank-you message or important dates in their career.